Abstract—Two classical measures, approximation accuracy and consistency degree can be employed to evaluate the decision performance of a decision table. However, these two measures cannot give elaborate depictions of certainty and consistency of a decision table when their values equal to zero. Yuhua Qian et al have introduced three new measures for evaluating the decision performance of a decision–rule set extracted from a decision table, but these measures still have some limitations. In this paper, we propose a new measure and theoretically study to evaluate the consistency of a set of decision rules extracted from a decision table. Experimental analyses on two practical data sets also show our measure will be suited for evaluating the decision performance of a decision-rule than measures of Yuhua Qian et al. Nguyen Duc Thuan is with the Department of Information Systems, Nha Trang University, Vietnam (phone: +84 58 905444448; fax: +84 58 3831147). 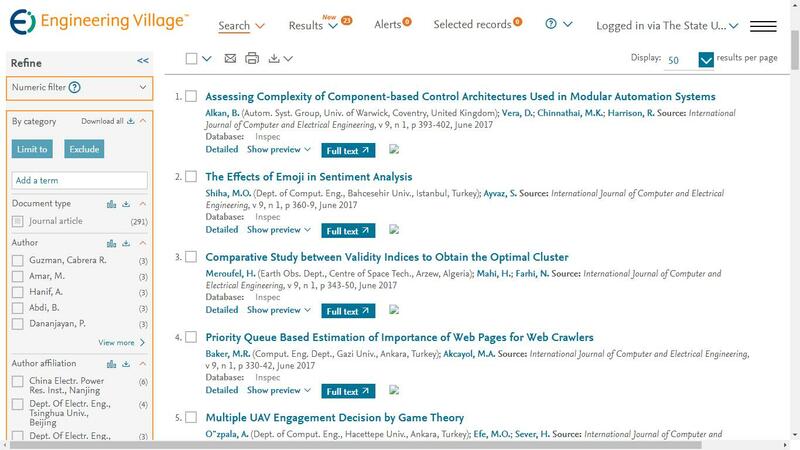 Cite: Nguyen Duc Thuan and Nguyen Xuan Huy, "A New Measure to Evaluate the Consistency of a Set of Decision Rules Extracted From a Decision Table," International Journal of Computer and Electrical Engineering vol. 1, no. 4, pp. 431-435, 2009.